Credit Card Number Configuration Interface. Data Type : Define the type of field for the application. When it is defined as a Credit Card Number, it is allowed to define some rules for the display format of the Credit Card. Label : Defines the title of a field in the application. For example: if the field is defined in the database as cmp_name_client, it will be more clear for the comprehension of the user if the name would be “Client Name”. Do Not Repeat Value : Do not repeat the value of the field in case it is the same as the previous record. 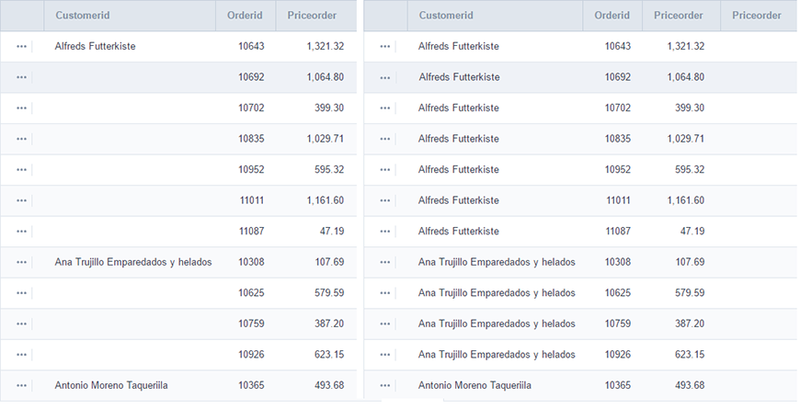 SQL Type : Informs the datatype of field in the database. 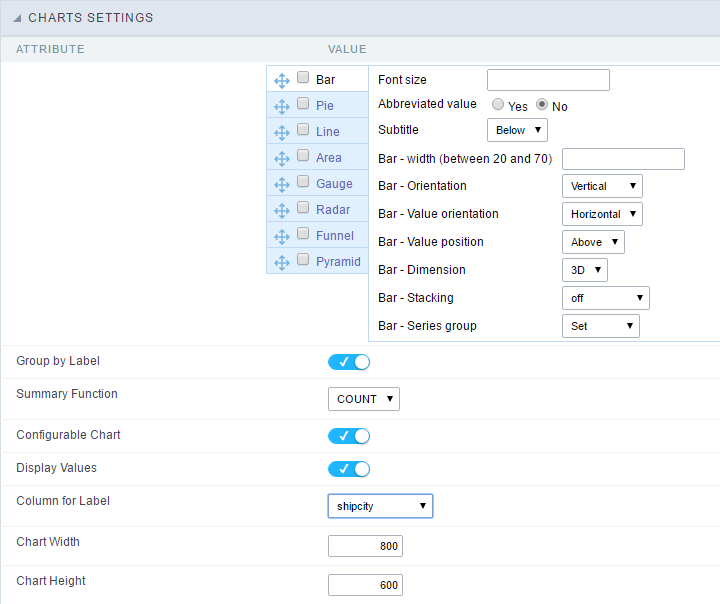 The Display Settings allows to define the CSS values individually for each field. For each Display schema of scriptcase, there are the same attributes available in Interface. 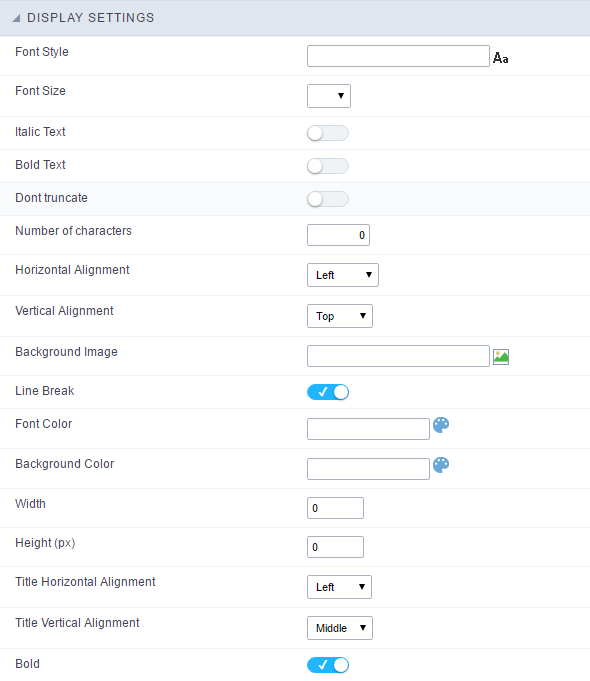 Font Style : Allows to select the font family, that will be applied to the application field. Font Size : Allows to choose the font size, that will be applied to the application field. Italic Text : Formatting the Text to be Italic. Bold Text : Formatting the Text to be Bold. Don’t truncate : Do not truncate by the amount of bytes or by the Grid columns. Number of characters : Amount of characters in bytes to display. Horizontal Alignment : Allows to position the label of the filter in the desired location (left right, center and justify). Vertical Alignment : Allows to position the label of the filter in the desired location (baseline, sub, super, top, text-top, middle, bottom, text-bottom). Background Image : Background Image of the field. Line Break : Allows the Line Break. Font Color : Allows to apply a color to the font by choosing a color from the color palette. Background Color : Allows to apply a color to the field background by choosing a color from the color palette. Width : Allows to define a width to the field. Height : Allows to define a height to the field. Title Horizontal Alignment : Define the Title Horizontal Alignment of the field. Title Vertical Alignment : Define the Title Vertical Alignment of the field. Bold : Applies the bold type font to the field. This option allows breaking the line in the PDF file when exported. By using this option, you will see an icon on the Field Title, this icon displays a chart relating to the field. On this type option you need to choose two columns to build the chart. The first one is the field its self that you are working with, and the second one is the you chose and is called “Column for Label”. Group by Label : Groups the values of the column by the label. Similar to the effect of the group by of the a Selec. Summary Function : Function that summerizes the data applied to the column. The functions that can be used on the field are the following: Count, Sum, Max, Min and Avg. 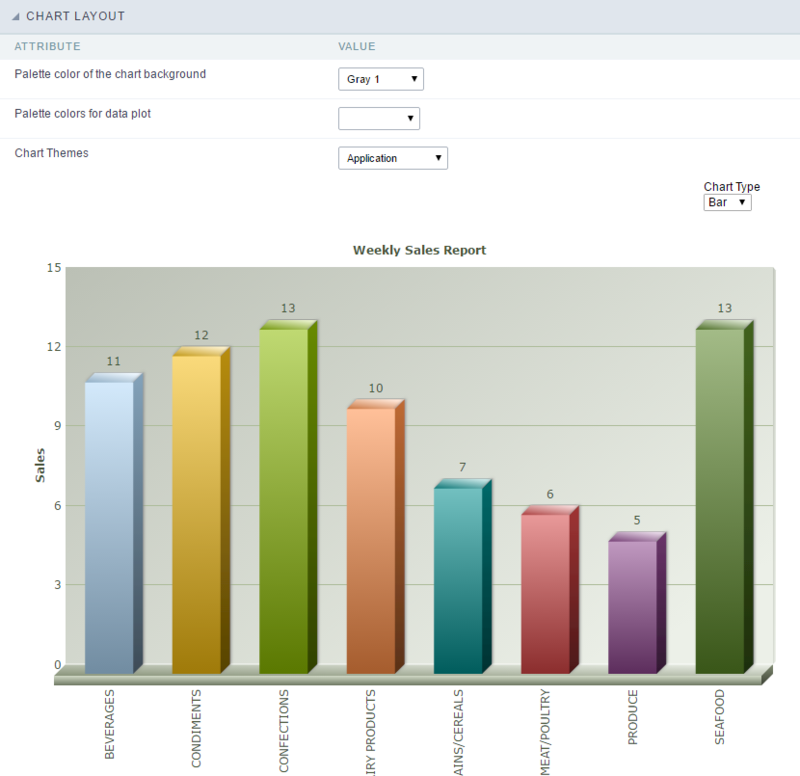 Configurable Chart : Allows the user to setup the parameters of the chart creation when the application is running. Display Values : Displays the values of the generated chart. Column for Label : Selecting the column that will be the label for the field. Chart Width : Width of the chart, in pixels. Chart Height : Height of the chart, in pixels.